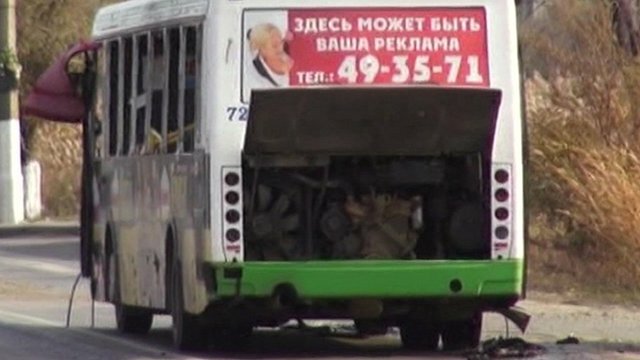 Russia bus bomb kills six Jump to media player An explosion that killed at least six people on a bus in the southern Russian city of Volgograd was caused by a female suicide bomber, Russian officials say. 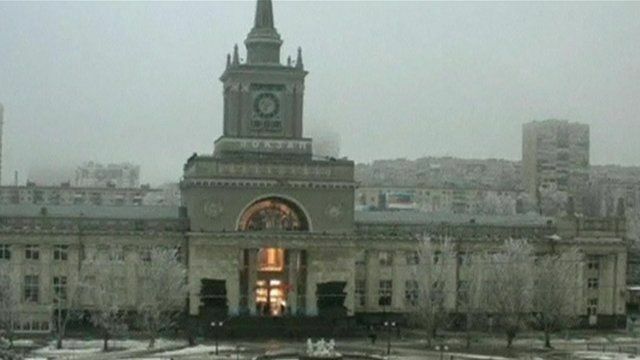 An explosion has ripped through a train station in the southern Russian city of Volgograd after reports that a suicide bomber blew herself up. At least 16 people have been killed and many more are injured. In a statement, the Russian anti-terrorism authorities say the bomber was a woman. In October, a female suicide bomber from the neighbouring restive province of Dagestan killed six people on a bus in the city.